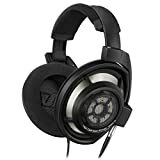 List of 15 Best Headphones for everyone. High-Fidelity headphones, although not rare, are unreachable for the common folk for many reasons. The best audiophile headphones are engineered with the most premium materials to ensure the trembling and stellar audio output. As such, their price tags can be quite discouraging if you are a dedicated audiophile. Luckily, our compelling 15 best audiophile headphones list has something for everyone, starting with the stylish and sturdy designs to the uncompromised and mesmerizing audio performance. 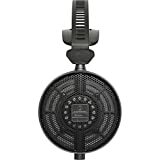 Audio Technica ATH-AD700X is an ideal pair of headphones without breaking the budget. The AD700X features an open-back design for a spacier and clearer audio quality. Equipped with Audio-Technica’s famous feature called 3D Wing Support, the user can effortlessly adjust the headphones to the size and shape of their ears and head. Another benefit of the open-back design consists of a lightweight construction and earpads full of cushioned material which preserves the ears and provides a high-end comfort which can last for hours. That being said, the unnoticeable weight won’t lead to discomfort when listening to these sophisticated headphones. The large size may, in particular, upset some fans of the Audio Technica headphones. However, it is of great importance to understand the role audio components play in this type of headphones. Moving onto the sound, it was hard not to enjoy the sophisticated balance in mid-stage and highs. There was a special, dedicated accent to the instrument details and high-fidelity (audiophile) audio. The instruments feel as if they are present next to you, while the high accuracy in details was applied as well. The bass is relatively balanced too. Unfortunately, the failed attempts to sound on the same length as the rest of the soundstage ripped the perfect picture that we had about these headphones. It also lacks power, not providing that necessary punch. These minor drawbacks won’t ruin the deal, whatsoever. The headphones are eligible for any occasion, starting from audio monitoring and DJing for novices, to a cozy blanket-snuggled music listening. The bass misses adjusting to the rest of the soundstage. 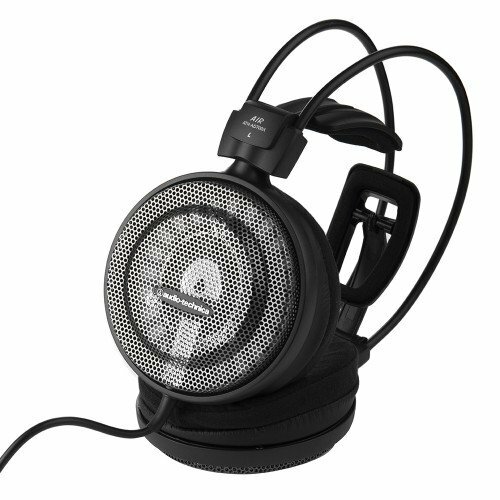 The Beyerdynamic T90 features an over-ear, open-back pristine design. There is a premium material covering the outer layer of the headphone, making it look more sophisticated and premium. The headphones are quite large which means they are not recommended to listen in the bed. On the other side, they are pretty much eligible for anything else. The most important feature of these pristine headphones is the Tesla Technology, exclusively operating in this model of headphones. 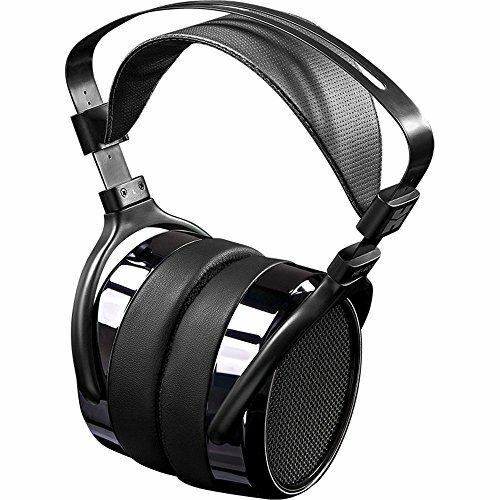 Their main aim is to enhance the overall effect of the headphone by reducing or eliminating the magnetic power losses. There is, basically, a ring magnet located around the driver. The other ways this technology works also includes a smaller ring which is the driver itself. We are glad to see that the build quality is more than sturdy. The special spot on certainly is the velvet microfiber. It is a high-end material which covers the ear pads, making it comfortable for your ear to lay on. The Tesla engineered feature contributes to a larger build, including the bigger drivers. This led to the weight of 12.3 ounces which is far beyond average. At least, you don’t have to worry about lugging them around, the T9 is made for house use. When it comes to the connectivity, the Beyerdynamic T9 sports either the traditional 3.5mm plug and 6.3mm plug. The Tesla magnetic flux technology delivers a premium and precise sound. The entire soundstage is rich and dynamic, including the highly-accented bass. The more spacious sound quality leads to a lot of detail, warmth, and vibrancy. If you can live with its minor flaws, Beyerdynamic T9 is an ideal pair of headphones for the home. HiFiMAN HE-400I is a successor to the previous, 2012 model with a lot of enhancements. The over-ear headphones bring the several changes. Given that the previous model weighed around 450 grams, the around 100-grams lower weight is a refreshing news for the HiFiMAN fans. However, the end result is still too heavy to lug outside of the house. The 10-foot cable is sufficiently long to support the headphones. Just like with the previous headphones, there is a 3.5mm adapter and 6.3mm screw-adapter for stereos. The beveled hybrid patterns close out the outside noise. However, it also produces an amazing comfort, perfect for the extended sessions of music listening. Exactly what every audiophile needs. 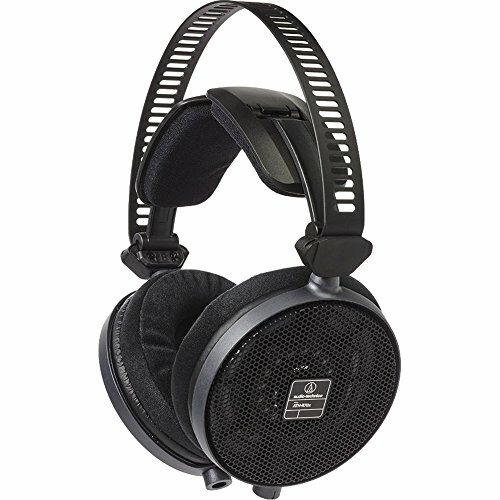 The successor to the high-end HE-400, the HE-400i, just like its’ predecessor is equipped with the “planar magnetic” flat drivers. They contribute to a clearer and louder audio output. Generally, these drivers aim to deliver a dynamic soundstage. If you are looking for a premium sound, HE-400i has to offer much more than that. However, more expensive than the competition. The headphones deliver an extra-vibrancy and warmth to the sound. The bass is punchy and dynamic and definitely, doesn’t save on power. Regardless of the genre, the instruments and vocals are handled with precision. 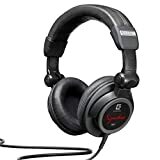 Sennheiser has always been an excellent manufacturer thanks to the great selection amazing, true Hi-Fi sound headphones. 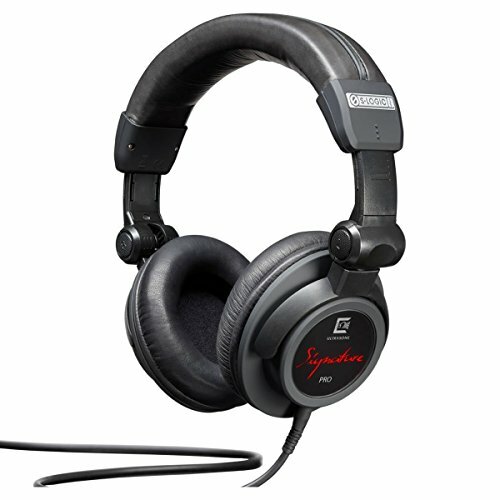 Sennheiser HD 598 SR features an original design compared to the other models. The beige accents have replaced Sennheiser’s ordinary gray and black. Additionally, the wooden textures which decorate the plastic surface make the headphones look more premium than the price would suggest. Audiophiles, prone to listening to the music, enjoy the velvet cushions which surround the ear and cover it (over-ear design). These cushions greatly provide the comfort, even after the extended time of listening to the music. The open-back design proved inefficient in delivering solid sound isolation. However, this doesn’t stop them from providing the utmost clarity. The weight of the headphone barely reaches the measurement of 9.5 ounces, which is still acceptable light for this listening purpose. High-Fidelity headphones are known for their bulkier build. However, Sennheiser made an exception in HD 598 thanks to the all-plastic build which makes them much lighter, preventing the unwelcome pressure to the head. The 10-foot cable is included in the package. It is detachable and firmly attached to the headphones. The connectivity options are two. The 3.5mm cable also made its’ appearance for the all other devices. The steady and clear performance is guaranteed through the Acoustic Refinement technology. The system under which it operates consists of acoustic baffles, which direct the music straight to your ears. This feature is also visible on their main headphone model, the HD 800. For additional clarity and punchy bass, there are the neodymium magnets, Duofol drivers, just as aluminum voice coils. The sound is vivid and vibrant. The whole soundstage is incredibly responsive and acts as one. The only complaint received is in regards to the lack of the storage for the headphones. Given that they are large and plastic, the results of constant abuse will in the future be unavoidable. Beyerdynamic DT-770 are quite different headphones than these on the list. Unlike the vast majority of them featuring an open-back design, these are praised through the closed-back construction. What does this mean for the user? While you might probably miss on some spacious output, you would be provided an impeccable sound isolation, which prevents the outside noise to enter your ear. Discreetly designed, the DT-770 are the best in the audio studios, where they are operating with the sound applications or sound monitoring in particular. The sturdy and rugged build allows them to be prone to some abusing, which is a commonplace among the DJs and other professional audiophiles. However, their construction shouldn’t be taken for granted, as they are endlessly comfortable for listening. Unfortunately, the cushioned material gets easily heated. The manufacturer has allowed the consumers with these issues to replace the original cushions for velour-made ones. When it comes to the portability, the DT-770 are wired headphones. However, the cable might disappoint with its’ length. Designed ultimately to operate in the sound studios, manufacturers probably didn’t think about the length. Luckily, you are allowed to replace the cable too, with the longer one. As about the storage, you can choose the sturdy case for extended durability. On the other side, you can settle for the nylon transport bag, which is pretty minimalist. Of, course, you opt for both. DT-770’s performance is stellar without a compromise. We are proud with the soundstage it can carry out, especially with the powerful and dynamic bass. Thanks to the balanced bass, due to the Bass Reflex technology provides the mid-stage is prominent and clear, just like the highs, with additional crisp and detail in the sound. The price is certainly a discouraging matter for these headphones. On the other side, the performance and build perfection should definitely be taken into consideration. If you can live with their flaws, Beyerdynamic DT-770 is a valuable choice. The DT 880 is a revolutionary model. Instead of forcing the famous open-back and closed-back design, this model uses one of each. You are allowed to hear the happenings from the outside world. However, the headphones won’t radiate a loud sound outside the headphones, allowing only you to hear the masterpieces you are listening to. The build is all-metal and nothing less than the aluminum ear cups. The ear pads are made out of velvet material in order to provide the top-end comfort and convenience to the listener. Additionally, the foam-padded, aluminum case securely protects the headphones from damage on the go. Headphones weigh 9.5 ounces. That didn’t stop them from laying conveniently to the users ears. They are perfectly eligible for extended musical sessions, not causing headache or other discomforts upon taking them off. While there is no detachable cable, the headphones sport a gold-plated ¼” adapter, together with the screw-on features. It is ideal for home and stereo use. However, the other users can rest assured that the DT 880 is compatible with all smartphones and other devices thanks to the 3.5mm plug. DT 880 isn’t an ideal model for the outside use, mainly as a result of bulky construction. Instead, it can be used as a home option for listening to the music (not recommended to lay with them) and professional sound monitoring. There is no doubt that the DT 880 delivered an all-natural sound. The Bass Reflex technology is present on this model too, delivering nothing less than the abnormally punchy bass, though not enough to give interference with the mids and highs. The mids are natural and highs are dominating and crisp. 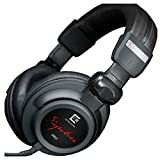 The stellar performance and convenient design assure the buyer that the DT 880 has everything even the strictest audiophile would require from Audiophile headphones. The lack of noise isolation is disappointing. Sennheiser is able to deliver the uncompromised sound even in the lower-end of the budget. The HD 558 is a great investment in the audio equipment. We enjoyed its’ performance to the point we found it hard to find any flaw. The velour-plated ear pads are extremely breathable. Aside from delivering great comfort, they allow the air circulation, preventing your ears from getting too hot or sweaty. The build is completely covered in plastic. However, that didn’t stop HD 558 from being extremely durable. The headphones are designed for the at-home use. They come with two replaceable cables. It was saddening to see that the manufacturer doesn’t include the protection case for the headphones. You will either have to be extra careful when using them or be able to afford the additional equipment, such as nylon bag or hard case. Just like expected, the headphones sound great. Despite their budget, they appear to be much more stellar compared to the competition. The open-back design ensured a wide frequency range, just as the wide soundstage. The bass is also very powerful. 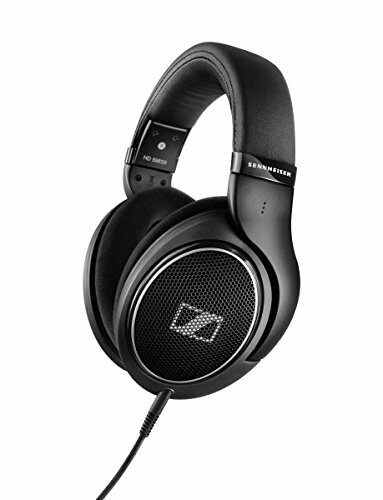 However, the lack of the sub-bass impact might disappoint some Sennheiser fans. Instead, the headphones rely completely on the naturally imbued bass. 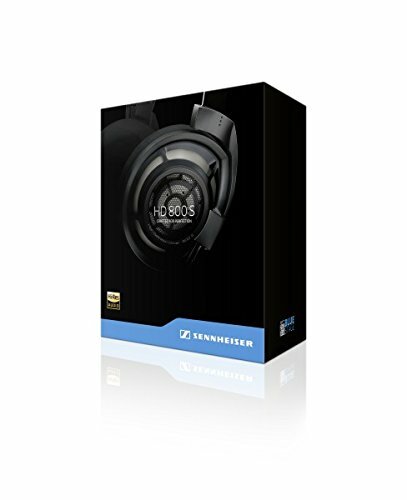 Overall, Sennheiser HD 558 is a great deal. Thanks to the neodymium magnet system, the sound output they deliver is tremendous, accurate, and crispy. The ATH-R70x is a high-end, high-fidelity pair of headphones with a great variety of features. The open-back designed headphone is eligible for the great selection of activities, including DJ-ing and professional music monitoring. 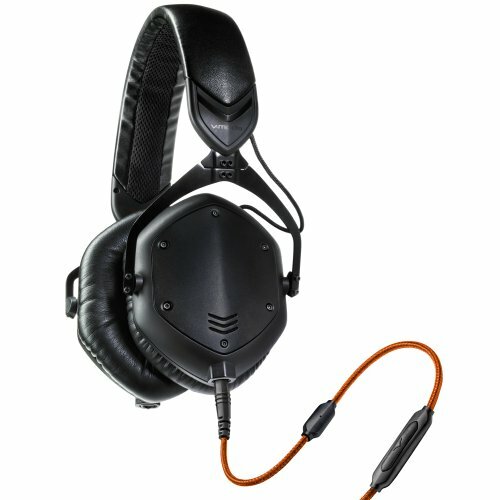 For the sturdy headphones that they are, ATH-R70x is quite lightweight. Weighing 220 grams, they are a great deal. The robust construction makes headphones durable to the abusing, which is present in professionality mentioned above. The ear pads are made of protective, yet breathable foam which protects the ears from warming up and sweating, which is commonplace with this kind of models. Additionally, they are adjustable for every size of the ear and cover it fairly. In a combination of comfortable fabric and feather-weight construction, you will barely notice the headphones on. Even after hours of listening the mere surprise of the comfort won’t go unnoticed. When it comes to the sound quality, Audio-Technica ATH-R70x sports the latest magnets along with pure alloy magnetic circuit design. In general, these magnets work together in order to reduce and eliminate the resonance and distortion, resulting in accurate, Hi-Fi sound, with punchy and powerful bass. ATH-R70x is exactly that, a headphone with outstanding soundstage and unbelievably strong bass. The headphones manage to orientate the entire soundstage to sound as one. The mids and highs sound powerful, detailed, and precise at its’ most. To the ultimate audiophiles, the good news is also that the headphones sound natural, regardless of the genre that is being played. Additionally, there are two detachable cables with different connectors, depending on where you are listening to your music from. They are not as comfortable as the competition. V-MODA is known for the audio equipment with the ground-shaking bass. The Crossfade M-100, successor to the older M-80 is no exception. The sound isolation tells us that the headphones feature the closed-back design, and we can’t help but admire the robust design and a lot of features that come with it. The Crossfade M-100 components are genuinely packed in an all-metal housing which is replaceable. You can choose among several black textures such as matte-black, shadow, but also the white silver, alien-like texture. The headphones weigh 9.8 ounces, making it still relatively light for its’ competition, especially because of the all-metal build. It is the great news that headphones are lighter than the predecessor. We mentioned that the headphones are fairly durable, given they are quite professional, they are prone to the user abusing. The manufacturer built them with that in mind and performed various tests such as throwing them off from heights to test their endurance. The closed-back design follows with the faux-letter memory foam ear cushions which protect the ears from the ambient sound. Not only that, they provide great comfort and convenience, preventing the ears from getting warm and sweaty. The headphones come with two detachable cables which with ease connect to each of the ear cups. the other one is a regular 3.5mm cable. It doesn’t hurt to mention that there are an inline microphone and controls which make making calls a piece of cake. The headphones sound extraordinary. Just like usually with V-MODA the accent of the performance is to the powerful bass. The 50mm dual diaphragm drivers separate the bass from mids and highs. This results in extremely rich, vibrant, and accurate sound, and of course in the powerful bass, free of distortions. If M-100 is something you can afford, you won’t be disappointed. The headphones especially appeal to the audiophiles on the go, as they are foldable. The SRH1840 is a premium model coming from Shure. They are relatively expensive. However, they are equipped with a set of features characteristic only to the most premium, high-fidelity headphones. The housing of the headphones is a mixture of an aircraft aluminum and steel. The headphones are black but quite elegant. The premium ear cushions provide all the necessary convenience for the extended listening sessions. The high-quality velour material doesn’t get warmed, protecting the ears from burning or sweating while listening. The headphones come with two cables, both are gold-plated. However, the screw-on ¼” makes the headphones ideal for stereo devices and other top-end audio equipment. There is also a 3.5mm plug, though it is not recommended to use them on phone. Either left ear cup and the right ear cup come with 40mm neodymium magnets. Also, the included voice coils together with the 40-mm drivers contribute to the unparalleled audio experience. The bass isn’t exaggerated. The mids are prominent, while the highs are detailed, crisp and loud. The open-back structure of these headphones limits them only to the house or studio work. Their spacious sound might disturb your surroundings on the go. On the other side, an open-back design is an ideal option when creating the music in the studio. Unfortunately, the headphones are quite expensive, which is their only downfall. The high-end features and premium sound separate Shure SRH1840 from the average and deliver an impeccable performance. They are sure to suffice every audiophile. 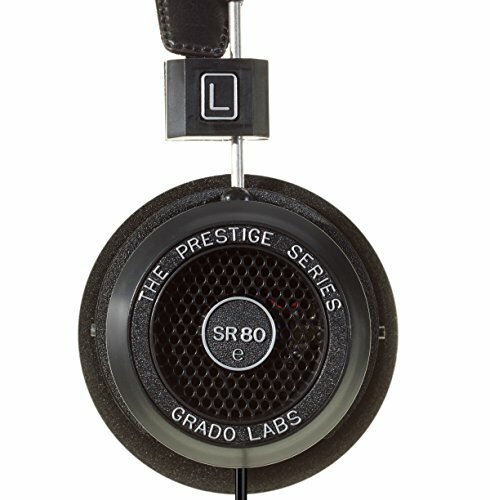 Grado SR80e is an original successor to the SR80 Prestige series. It is refreshing to see that the manufacturer didn’t change too many things about the design. Instead, they focused on improving the sound. The open-back design means that the SR80e is far from perfect for going out in. They are entirely dedicated for the home-use, cozy, relaxing time by the fire. Unless you want everyone to hear what you are listening to, it is recommended to use them inside. The plastic build is expected, thus the budget. Luckily, it is not just some cheap plastic. The sturdy quality of the plastic implies that some effortless abusing is acceptable. However, in the normal limits. If you are a DJ starting his career, or an entry-level audiophile, you will love to start with something simple, yet impressive. This is exactly what Grado SR80e Prestige is. The successor to the prior high-end headphones didn’t win any rewards feature-wise. The only bell and whistle certainly is the ¼” plated plug, which allows the user to listen to the music directly from stereo devices. Aside from that, no inline controls, or any other extras that make the headphones enter the competitive game. Considering that the SR80e Prestige is an on-ear design, the less bulk is expected to be seen, compared to the over-ear headphones. They weigh 8.2 ounces, which is a respectable weight for music monitoring. The materials on ear cushions are pillow-like, make the headphone resemble of an over-ear design. The headphones performed impressively, considering the price-range. There haven’t been too many upgrades except in the drivers. However, that didn’t stop the SR80e to provide a better and richer soundstage than the “I” series predecessor. The bass is punchier, the dynamics are pointed, as it sounds either deeper and powerful. The rest of the soundstage is definitely uncompromised. Comparing with the more high-end models, and of course, feature rich, we couldn’t spot the real difference. 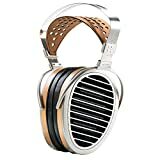 These headphones have absolutely everything a starter audiophile could expect from a genuinely affordable pair of Audiophile headphones. Our only complaint is in the connectivity options, and cable’s lack of endurance. Our praise of the Sennheiser models never ends. The HD 700 is a high-end model, one of the best ever reviewed. It is dedicated to the strictest of the audiophiles, for the mesmerizing audio performance it has guts to perform. Generally, the headphones weigh 9.8 ounces, which suggests that they are on the very limit between heavy and light. Luckily, the well-balanced materials and build, make the headphones feel like the feather on your ear. The microfiber ear cushions provide a pillow-like experience, more comfortable as well. Comparing it with leather cushions, the microfiber ensures the air circulation which prevents the ears from sweating. The headphones sport a plastic housing. This is slightly disappointing, considering that the price of the headphone is far from a joke. Aside from that, the headphones are incredibly durable, though it wouldn’t cost you if you treated them with care. 6.3 mm plug for the stereo devices. The 40mm drivers have a sturdy housing, and stainless steel, adjustable grilles. The sound they release is unparalleled. The bass is punchy and the treble is more than visible. They add great accuracy, especially to the details. The open-back headphones will make you hear the rest of your environment as a result of lack of sound isolation, but the sound they release will be more spacious and precise. The 40mm drivers and magnetic system have a well-organized performance which eliminates the harmonic distortion, delivering high-quality clarity. HD 700 is definitely a great value, though its’ overly priced ratio may take away your breath. If they are corresponding with your budget, they are great for either novices and professionals if you can set away from the flaw of plastic build. We have made an exclusive selection of three top-end headphones. They stand out either in their features and performance and are dedicated to the ultimate music creators. Let’s take a look at them. 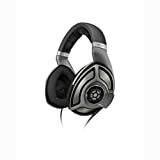 Ultrasone Signature Pro is a beautifully engineered pair of high-fidelity headphones. Their construction is a mixture of metal and plastic build and sturdy glass. The manufacturers promise that the glass is strong enough to endure a hard-core abusing, including throwing from 10-feet heights. However, we tend to handle top-notch headphones with care. The headphones sport 10-foot cable with ¼” connector along the little shorter, 5-foot, 3.5mm plug. They both plug to the left headphone. Additionally, the headphones support the protection from detachable cables falling out from the ears. S-Logic Plus and ULE technology, just like on the vast majority of other headphones, made their appearance with Ultrasone Signature Pro. These technologies work uniquely to either prevent the sound waves from entering your ears directly while delivering a crispier and spacious lining. The other technology reduces the low-frequency magnetic-field radiation, protecting your ears. In addition to that, there is a special MU Metal shielding which also tends to eliminate radiation. In terms of performance, Ultrasone Signature Pro delivers the treble full of crisp and audio clarity. The advanced drivers deliver high-quality audio performance, including the tremendous bass and an overall mesmerizing audio output. The only downfall is its’ price. However, it is worth noting that the superb sound monitoring isn’t achievable without as high-quality headphones as these. 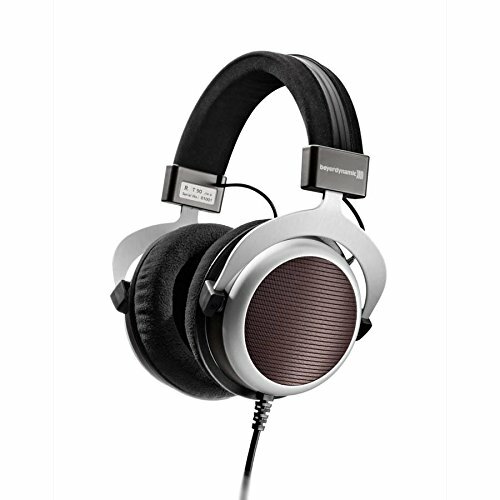 Sennheiser HD 800S is an extremely stylish and elegant looking headphone. It’s’ outside appearance matches its’ superb and premium performance. The most significant addition to the design is above-average large ear cups, which has its’ technical purpose. The headphones are a mixture of plastic and metal textures, along with the microfiber ear cushions which provide an extended comfort to the users. Unlike leather, microfiber falls naturally to the ear, preventing the unnecessary sweating, hotness, or even worse, rash. Sennheiser has always built headphones with comfort in mind. And although 330 grams are beyond heavy, the perfect balance in construction encourage the user to not feel the stacking of these grams over the head. Instead, the over-ear, open-back HD800 feels completely natural and causes the user to forget he’s actually wearing the headphones. The ¼” gold plated cable is eligible for the most premium stereo equipment and home use. The cable is beyond durable, additionally covered with the enduring fabric to extend durability. Unfortunately, you will have to provide yourself with a 3.5mm plug to connect these to your mobile phone. 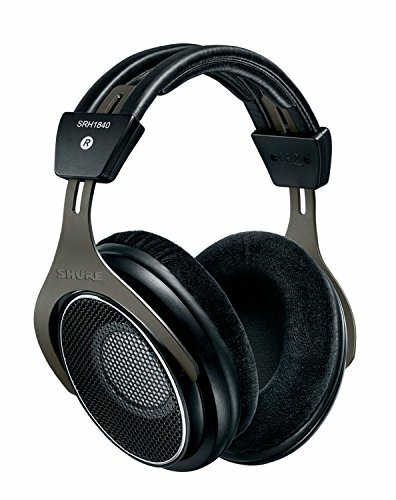 The 56mm drivers are also a unique investment into Sennheiser’s top-notch headphones. Additionally, the stainless-steel coverage securely extends their lifespan. The headphones produce a vibrating- and harmonic distortion-free sound, which sounds nothing less than the perfect. The open-back construction increases the spacious feel and depth of sound, regardless of the genre you are listening to. The high-end models add more bass into the work, but it doesn’t feel exaggerated towards the vibrant soundstage. The prominent mids make enough room for the high treble and crispy finish. By every look, Sennheiser HD 800 is a model that breaks the budget but is also a breakthrough of a new high-fidelity standard. The last, but not the least comes the HiFiMan HE1000 a superb and luxurious headphone. Their uniquely stylish design more likely resembles of something that came from the other planet. The metal build ensures their durability, making them ideal to operate in low-noise areas. The most significant thing in design is certainly the shape of the ear cups which are long-oval shaped. They ideally cover the ear, regardless of the shape. They conveniently lay to the ear, while the high-end material keeps the ears conveniently cool even after hours of listening to the music. The additional stylish design perk is the wooden accents over the surface of the cups. Another factor worth pointing out is that HiFIMAN HE1000 is nowhere near lightweight. The nearly 500 grams build may evoke the dissatisfaction even to the pickiest audiophiles. The firm and solid performance are established through various perks. The first is definitely the advanced asymmetrical magnetic circuit, which along with large drivers delivers a powerful and rich soundstage. It doesn’t exaggerate the bass and puts the special accent to the instruments and vocals. There is also an innovative technology called “Window Shade” which protects the drivers and provides a more open soundstage. The HE1000 is an open-back headphone, resulting in strict use in the audio studios. The price suggests that even the pickiest audiophiles need to empty their wallet to provide themselves with the uniquely superb audio output. Either way, if you have been into audio production for a while and you yield outstanding results, the HE1000 is an option that pays out. Audiophile Headphones shouldn’t be mistaken for headphones with trembling bass and just a vibrant soundstage. They function in a way no ordinary headphone works to provide the pure Hi-Fi sound with clarity and free of distortions. 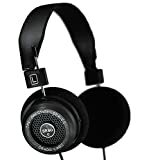 To be able to pick such headphone also known as Audiophile headphones, the user needs to be well-versed with technical data regarding the driver’s size and protection, whether are the headphones open-back or closed-back design and whether is the construction sufficiently durable to last and put up with little to moderate abuse. 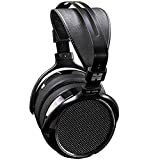 We spent a long time testing different types and styles of headphones until we found the models that filled in these criteria and were relatively inexpensive in the process. Given that comfort and health are of fundamental importance when choosing the headphones too, the material which flatters the ear cups is also important. Try to avoid headphones that have leather, or at least spring for the models with replaceable fabric. The leather can feel extremely uncomfortable and cause sweating if worn for too long. Our compelling list of 15 Best Audiophile Headphones reached the end. 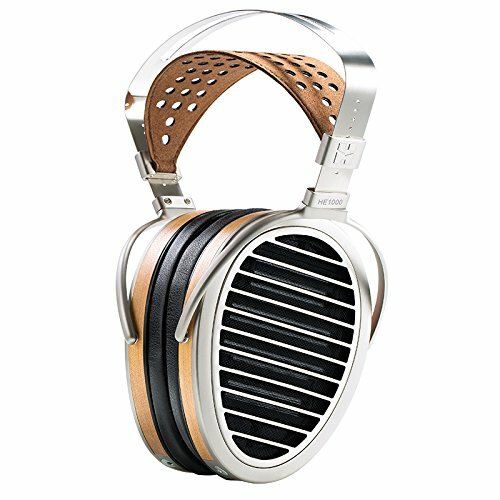 What is the best audiophile headphone for you? Let us know in the comments.